the concept of lesia trubat‘s ‘E-traces’ is based in capturing dance movements and transforming them into visual sensations through the use of new technologies. 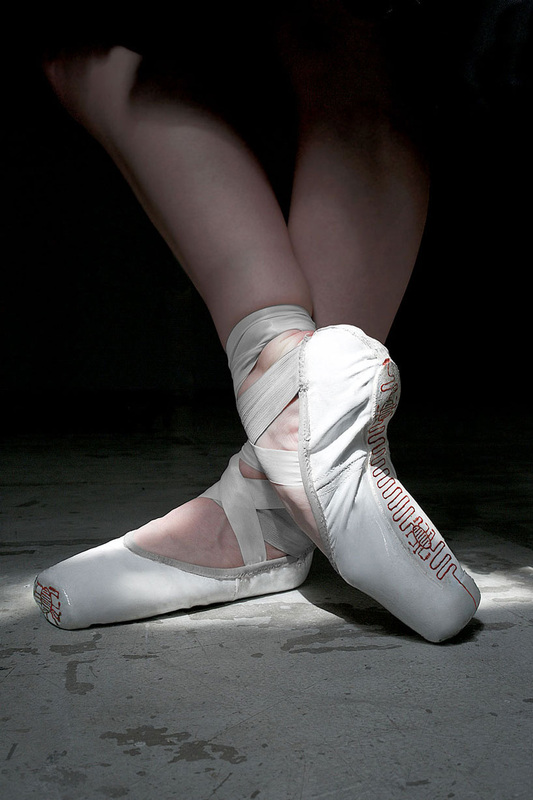 in order to do so, she focused her attention towards the pointe shoes of ballerinas. after observing the motions of their bodies as they glide and pirouette, she realized that through contact with the ground, a lilypad arduino microcontroller board could record the pressure and actions of their feet and send the signal to an electronic device. from there, a special mobile application allows users to reflect this data in a graphical manner and even customize it to suit their preferences. 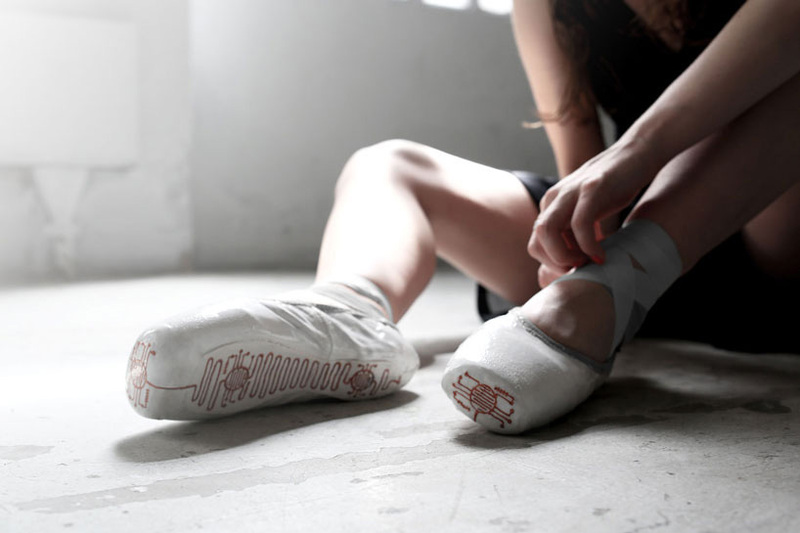 the technology is implemented inside the sole and there is an computerized pattern that indicates its significance. later, dancers can view all the moves they have made in video format, extract images, and even print them. this grants them the ability to interpret their choreography and correct it or compare it with others. the created visuals may be the same or different depending on the type of performance executed and the correction of the steps and body positions. ‘E-traces’ can be extrapolated to other disciplines and it provides a variety of applications, from a person who is learning on their own to a troupe using it to supplement a live show. I am a researcher of argentine tango dance. Is it possible for me to take part in this trial? Argentine tango is know for “feet on the floor” and “painting with the feet” on the floor. Figures coming are very beautiful. Is the inventor of this new technology looking for volunteers to test/try-out this product?